Over a year ago, PlaceFull received a call from a studio (we’ll keep the name confidential – let’s call them Ace Pottery Studio) that was interested in offering their customers the convenience of booking parties and events online. Ace Pottery Studio not only wanted to reduce staff hours spent on the phone during the day, but they also wanted a way to make additional revenue after normal business hours. They wanted to be open 24/7! They turned to PlaceFull for help. Shortly after creating their listings – pricing, availability, descriptions, and of course, beautiful images, they published their listings to their website and Facebook page. It was official, consumers could now book online. Within a day of going live, after highlighting the new capability in an email campaign and on their Facebook page, Ace Pottery received a booking confirmation email with their FIRST booking. Their customers today are booking more and more as they became more aware of the capability. Ace’s early success inspired us to reach out to more paint-your-own-pottery studios. Studio owners clearly understood the problem we were solving. Until, one studio owner mentioned that we should join the Contemporary Ceramic Studios Association (CCSA) and offer this as a member benefit. This advice would later lead us to an amazing partnership! Over a year ago, we partnered with the CCSA to help studio owners “Get Booked” anytime, anywhere. The partnership has been amazing so far. 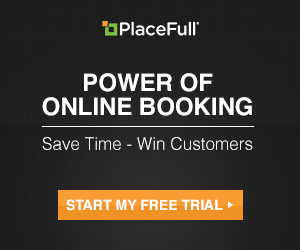 In fact, over 15% of all CCSA members now rely on PlaceFull to power their online bookings. Additionally, the new CCSA locator (designed by PlaceFull) has driven over 370 high quality referrals to studios all across the United States. With change comes fear. Many small businesses are hesitant to make the shift to online booking. We wanted to find out why. According to CCSA members, there are a number of areas of concern. Below are the five most common reasons that triggered the initial hesitation. These studios brushed their fears away and wanted to make it less fearful for you and encourage you to join them as more and more customers expect to book online. Fire Me Up! Studio is a new studio. We opened a year ago, and we have had great success with parties and ladies night out but wanted to grow our events (Kids Night Out, Canvas Painting, etc.) and knew that an online booking feature would help us with that. We researched a few but were hesitant to move forward since being a new studio, we are always watching our expenses. We were not sure if the cost would be justified. We are glad we made the decision to integrate PlaceFull. Our events attendance has increased since! We also notice that most bookings happen when we are closed. As a small studio owner, the PlaceFull Online Booking service is such an asset to me. It helps me in several ways. The first way is professionalism. When booking field trips for school groups or church groups it gives me validity as a business owner. Immediately after booking, confirmation emails are sent to me and the customer. Additionally customers like the added convenience. When customers call, we often tell them they can book events directly on our website or Facebook page. Sure, we’ll chat on the phone if need be, but often consumers just like to get things done. Online booking removes the back-and-forth. Customers can visit my website (that PlaceFull helped design) and see all the different events and activities I offer. Each listing has high-quality images, descriptions, pricing, and of course, real-time availability. The last, and probably the most important, is their responsive team. I always receive immediate assistance. I’ve been in business for over 5 years. I struggled with my website, online booking, and just felt my online professionalism was lacking. That all changed when I joined PlaceFull! Word at convention travels fast! 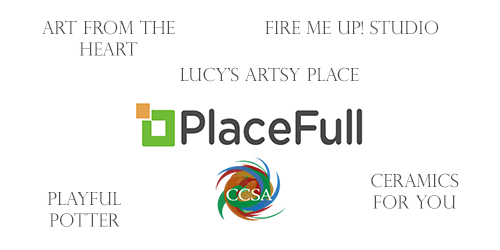 Like many other studios, we learned about PlaceFull at the CCSA Convention this year (2014). At the time, we were already using an online booking service that let our customers book activities and events online. This capability has always been important to me as a business owner. That being said, many studio owners were talking about how easy it was to create, publish, and unpublish listings on PlaceFull. I needed a better way to organize all of my listings. I was intrigued. I contacted PlaceFull. There were several things that jumped out at me after receiving a demo. Not only was it really easy to manage my listings, but it also saved me money. The monthly fee was more reasonable than my past service, and I didn’t have to set up my own payment gateway – big benefit! I was also a big fan of the fully integrated booking experience. In the past, my customers were redirected to a separate booking page, and I know this experience makes people nervous. With PlaceFull, it all happens under my own brand, on the same domain. My new listings are so beautiful, so I decided to redesign my website, just so the contrast wasn’t so obvious. I am a PYOP studio owner of two locations in northern Illinois called Ceramics For You. I have been in business for over 8 years and had resisted the plunge to accept bookings online for several years. Just to be clear, It wasn’t all about the price, which is my normal sensitivity. It was more about how easy it was going to be to set up, manage, and train my staff. My marketing sidekick, Amy, explained the importance of giving consumers the flexibility to book online. Together we made the shift. With the stroke of a brush, realistically a few strokes, we set up both stores as one location on PlaceFulll. It was way easier than I imagined and the cost was very reasonable. Since going live, I have tried things with classes and flash sales that I would not have attempted if I had to train my staff on each event. It’s easier than just marketing a class at the studio level. A Facebook post, a tweet, or an email campaign builds awareness around the event, and PlaceFull makes it easy for those customers to “book it” online. It has taken some time to train customers (took a couple of months), but be patient! It takes time to paint a Picasso! The staff at PlaceFull, particularly Ben, has been great to work with. He’s very responsive and makes it easy to get started! I personally like shopping, making reservations, etc. online, so I assumed this capability would help our business capture more customers when the business is closed. This was a good change. We were confident, and we would definitely recommend PlaceFull to anyone that has doubts for one reason or another. They make it so SIMPLE! We’d like to thank all of the studio members who contributed to this article. The team really appreciates the thorough explanations. You and many other studio owners have really helped shape our product. Your feedback has been priceless and we thank you for your support. If you have any further remarks, please comment below! Categories: Uncategorized | Tags: online booking, paint your own pottery, pyop | Permalink. Do you offer this service to Studios out of the USA?